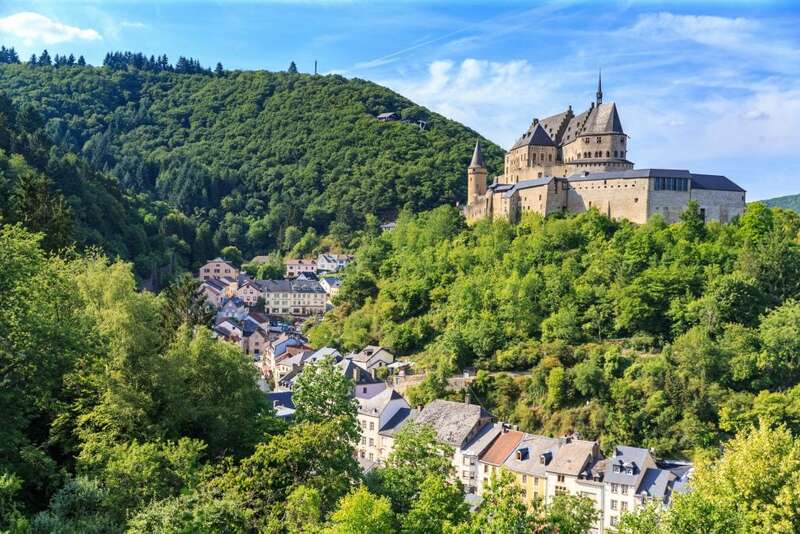 Built from the 5th century on a rocky outcrop overlooking the Our Valley, from the 11th century to the 14th century that Vianden Castle has acquired its present form. Located in the Luxembourgish Ardennes, Vianden Castle appears as a majestic medieval castle-palace with many defense systems (ramparts, drawbridge, portcullis, …). It hosts more than 200,000 visitors annually and is one of the most visited sites in Luxembourg. Vianden Castle was the residence of the Counts of Vianden and was acquired by inheritance by the family of Nassa. It remained the property of the grand ducal family of Luxembourg until 1977 when it was ceded to the Luxembourg state who carried renovation works. An application was submitted in 2012 to be listed as UNESCO world heritage site. Vianden Castle has been recognised as a remarkable cultural element, deserving conservation and protection. An information centre with a permanent exhibition is at your disposal in the barnyard. A lot of information through 10 didactic stations that will take you to the walkway. There is also a gift shop and a restaurant, as well as a youth hostel in Vianden. Open every day from 10 am. Closing times according to the season. One suggestion: take a walk in the village of Vianden and if you don’t feel dizzy, take the chairlift. Do you want to visit Luxembourg City or the Grand Duchy? Click here. The Castle is located a few kilometers away from the hiking trails of the Our Naturpark. What kind of activities to do in Luxembourg in family?